Oh do I have a treat for you. But first, I need to share a reply a reader made on an article in the Jan 29 Cook'n Newsletter: " A Very BIG Deal You Always Want on Your Kitchen Windowsill!" "Taking aloe or aloe vera juice internally can discolor the intestines making the results of colonoscopies hard to read; and it aggravates Crohn's disease, diverticulitis and colitis. I speak from experience and feed-back from my doctor." I've never had such an experience, but in the off chance any of our readers, might, I wanted to publicly thank this reader for taking the time to comment and for passing this cautionary advice along. Our reader has had personal experience with this, so heads up! MONTE CRISTOS: Dennis says that traditionally, Monte Cristo sandwiches are made with ham or turkey and cheese, dipped in a seasoned egg wash, and then grilled. But like most things in cooking, there is a great deal of variation with regional and local favorites. 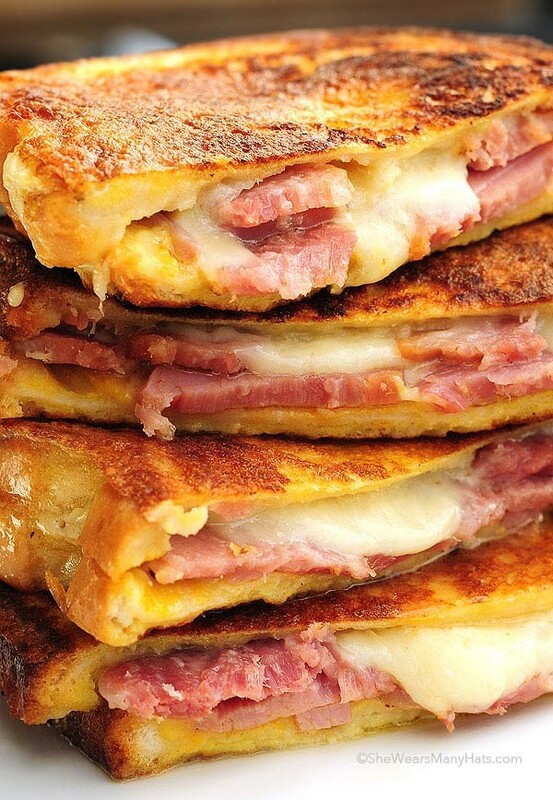 In fact, depending on where you are in the country, a Monte Cristo can be grilled, baked, or fried. Baked seems like a lot of bother and fried can be quite heavy, especially in the summer. So grilled is really our favorite approach. Set aside eight slices of hearty bread. If all you have is very light bread that may come apart when dipped in the egg mixture, toast the bread. Mix the eggs, milk, salt, dry mustard, and white pepper together in a shallow bowl. Spread a thin layer of Dijon mustard on the bread slices. Place a slice of cheese on four of the slices. Spread jam on the four cheese slices. Cover the jam with the deli ham. Add another thin layer of jam, then cheese, and then top with the remaining bread slices to make a sandwich. Heat a griddle or large frying pan. Melt a little butter just before frying the sandwiches. Dip the sandwiches in the egg mixture, turn the sandwich in the egg mixture, and place the sandwiches on the hot griddle. 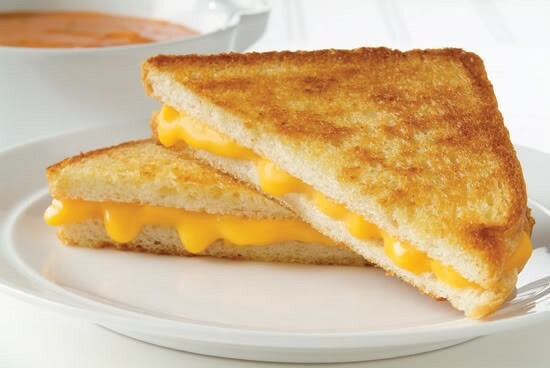 Fry as you would a grilled cheese sandwich, turning the sandwich when one side is golden brown. Serve hot. 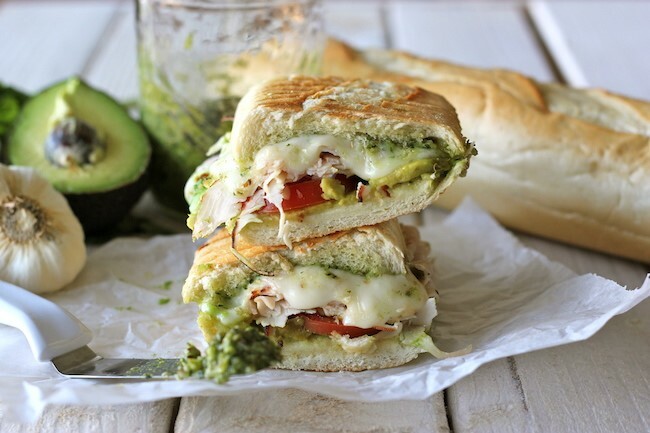 TURKEY PESTO PANINI. A Panini-maker is always a good tool for grilled sandwiches, but I don't have one, so simple grilling is the route I'll take for this sandwich. The great thing about this sandwich is how it can star not just turkey, but any poultry. French bread is so good, but sourdough or ciabatta would work well also. Spread your slices with pesto (homemade or store bought) and start layering: cheese (mozzarella or Monterey Jack is good), lettuce, sliced tomato, a thin slice of red onion, chopped turkey, and some thin slices of avocado. Grill until each side is golden and the cheese is melted, about 2 or 3 minutes. Doesn't that sound yummy? And how about a mac 'n cheese grilled sandwich? 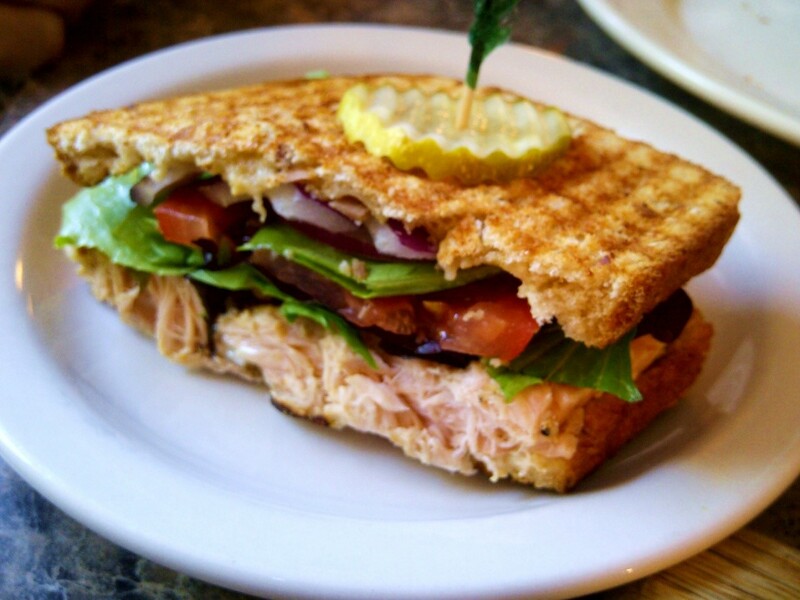 (I'm getting drool on my keyboard…) This has been described by taste-testers as an epic sandwich. And of course, with mac 'n cheese stuffed between two buttery and toasty pieces of bread, how can you go wrong? And what adds to the deliciousness is slices of pancetta. Make a batch of your favorite mac 'n cheese, but this time, add some cream cheese along with the other cheeses you throw in. French bread or sourdough bread is the choice again. And you can see there's no science to this. 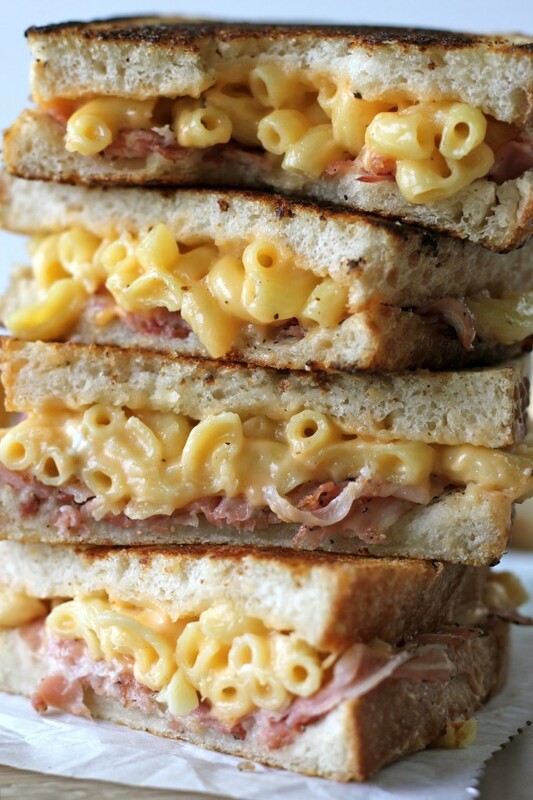 You plop some cooked mac 'n cheese on your bread slices, top that with thin slices of pancetta (or any ham you have around-hey, even cooked bacon strips work). Grill each sandwich until the bread is crisp and golden. Oh my. In large pot of boiling salted water, cook pasta according to package instructions; drain well and set aside. Melt 1 tablespoon butter in medium saucepan over medium heat. Whisk in flour until well combined. Gradually whisk in milk and cook, whisking constantly, until incorporated, 1-2 minutes. Stir in cream cheese, then gradually whisk in Cheddar, Asiago and Romano, a handful at a time, until smooth, about 1-2 minutes. Remove from heat; add cheese sauce to pasta and stir. Heat remaining butter in grill pan over medium-high heat. Place 2 slices pancetta on one side of sourdough bread, top with generous scoop of prepared macaroni and cheese and then top with another slice of bread to create a sandwich. Repeat with remaining slices of bread and macaroni and cheese to make six sandwiches. Place sandwich in pan and grill, flipping once, until bread is golden and filling is heated through, about 2-3 minutes per side.